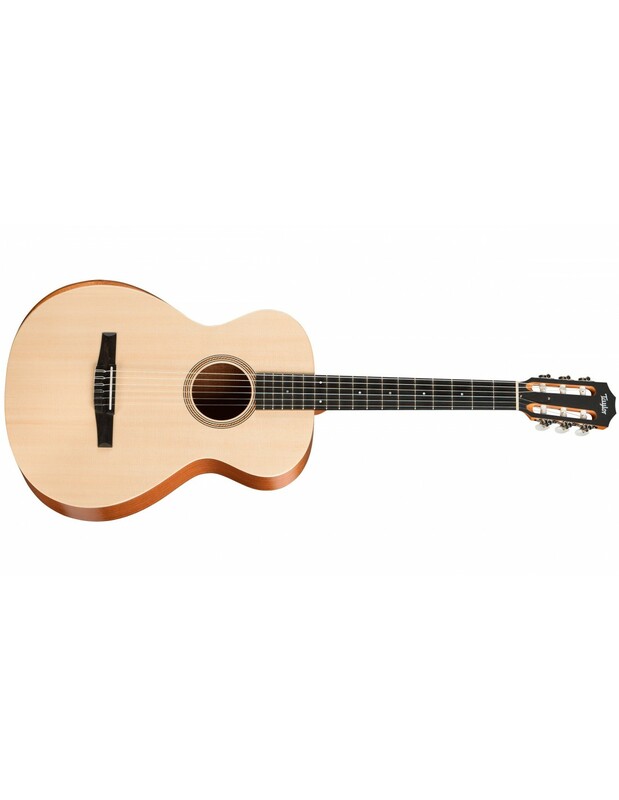 Taylor have poured their considerable R&D team, production values and technology into producing this revolutionary range of instruments. Designed from the ground up to be a guitar that is easy on the hands, easy on the player, and beautiful on the ear. Little tweaks such as the armrest to ease comfort, slightly shorter scale and narrower nut width make this guitar a dream to play for all players. The Lutz spruce top is elegantly warm - ideal to represent the nylon tone, and the styling is refined and classic: A perfect way to experience the Taylor nylon tone at an amazing price point. Add in the on-board ES-B pickup with tuner and you have an instrument ready for the room, the road, the stage or the studio.